While on vacation driving through France’s lush Dordogne and Bordeaux countryside, my travel companion and I marveled at the many traffic roundabouts radiating like stars in multiple directions, all of which let us flow without stopping on to yet another charmingly quaint French village that always had at least one cosy café and enticing patisserie. At one of these forks in the road, the name “Cadillac” jumped out at me as the familiar name of an American car. But it didn’t seem likely that the road sign was indicating that Cadillacs were being built in the town that was now less than an hour away from me. Especially not nowadays. Whereas the Cadillac of my youth was a stately, lengthy vehicle, our current road trip was almost exclusively populated with fellow small cars able to claim limited city parking spaces or traverse narrow old village streets that were built before automobiles sized for open American roads had yet been invented. Cadillac – Car, Place, or Man? 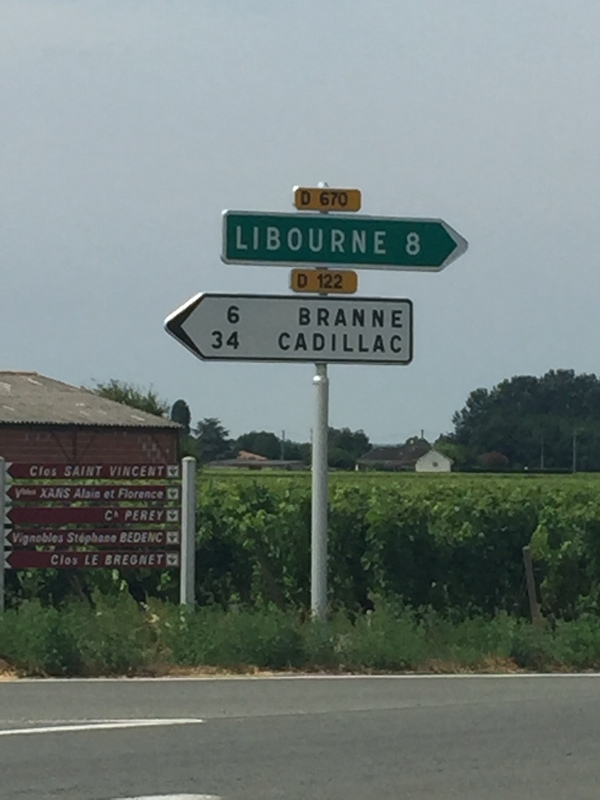 As the name showed up on several more roundabout signs, I had to realize that “Cadillac” was merely denoting yet another town on our way to Bordeaux. After all, the name fit the pattern I’d noticed in so many other town names through central France’s Dordogne region. I’d visited or seen towns with names like Souillac, Cenac, Carsac, and more. I then found some history on why so many French town names in this region had names ending in -ac. So Cadillac, France was a place. But why had its name come to land on America’s so-called prestige car? More research told me the car did in fact have a history based in France. Further, Cadillac was not only a town, but the name of a 17th century Frenchman for whom the American vehicle was named. But what did he do to be merit a fame lasting into the 21st century? Antoine Laumet was born in 1658, not seemingly destined to have a car named after him, since automobiles weren’t to be invented for several hundred years. But he did have many adventures between his early years in France and his later life in North America, and his actual name changed along the way. Laumet – like many immigrants to the New World – was free to adopt a new identity, which could in some cases erase a troubled past. In North America, Cadillac worked as a trapper, explorer, and trader of furs and alcohol. Upon Laumet’s marriage to a young Quebec woman, he adopted the surname “de la Mothe,” mirroring that of a nobleman from a town near Laumet’s own birthplace. Laumet further accorded himself the title “sieur” (sire) of Cadillac, the name of the nobleman’s town. Monsieur Cadillac’s exploits also gained him political influence. In 1701, he founded Fort Pontchartrain, which would go on to become the city of Detroit, Michigan. In 1710, he was named governor of the early Louisiana province. Antoine Laumet de la Mothe Cadillac later moved back to France a remodeled man before dying at the age of 72. Less than two hundred years later, automobile developer Henry Ford was forming his third company on the heels of the Detroit Motor Company and Henry Ford Companies, both of which were located in Detroit. The new company gained repute for its vehicles’ technological quality and luxury finishes. The company was named Cadillac in honor of Monsieur Antoine de la Mothe Cadillac who had founded the city of Detroit, original home of America’s renowned automotive industry. I saw no stately Cadillacs while darting along French country roads in my economy car. But in a roundabout way, I learned that the French town name had a bigger influence back home in the U.S. than I would have ever guessed. Previous Cookie Conundrum: Macaroon or Macaron?